Vibrant Manual Boost Controller has proven to be one of the easiest and most cost effective way to squeeze more horsepower and torque from your turbocharged vehicle. The Vibrant Performance design team has developed a lightweight, very compact boost controller that features a unique integrated dial that allows you to precisely set boost and which eliminates the risk of “overboosting” that can occur with other manual boost controllers. T6061 Billet Aluminum with black anodized finish for corrosion protection. Removable fittings for servicing and reference line upgrades. 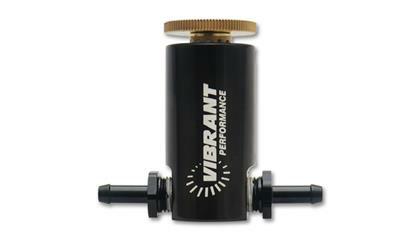 Comes with low pressure check valve for use on MAF equipped cars to prevent stalling at idle. 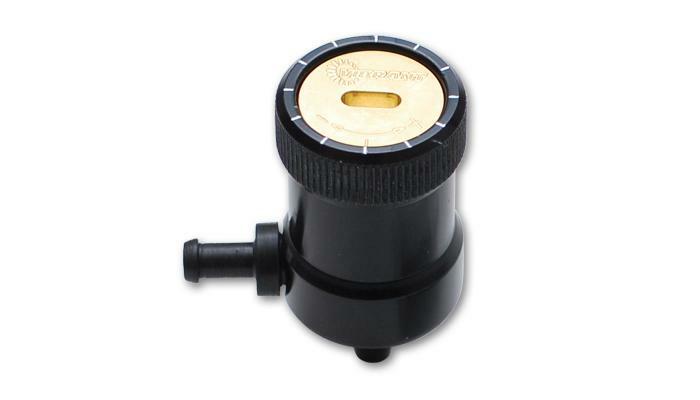 Large premium grade brass adjustment knob to increase or decrease boost pressure accurately. Can be mounted nearly anywhere with included mounting bracket.